Sony's PlayStation Now service, which a select number of PS3 gamers have been enjoying for a short while, will be made available to all US and Canadian PS4 owners starting July 31 (psst, that's today). But while it's going public, PS Now will still be in open beta for now as Sony tests the new cloud service. For the uninitiated, PS Now allows players to stream games to their PS4 with around 100 PS3 titles to pick from, with more to be added regularly. The lack of PS4 backwards compatibility sparked a lot of frustration among gamers back when the console was announced, so this is one way of appeasing those disgruntled players. In a new blog post, Sony confirmed we'll be also be getting cloud saves, tropies, and rental period that start at four hours ($3) and go through to 90 days ($15), all of which are renewable if you want to keep playing. PS Now senior director Jack Buser confirmed that Sony's also working on a subscription option (a la EA Access, which Sony doesn't think is good value for money). "In addition, we've heard you loud and clear for an update on a PS Now subscription option and want to reassure you that we are working on it. We think PS Now represents the next step toward the future of gaming and we're excited to have the PlayStation Nation come along with us on the beginning of this journey." Jack Buser confirmed in a comment that the service will "soon be coming to PS3, PS Vita, PlayStation TV and select 2014 Sony TVs". 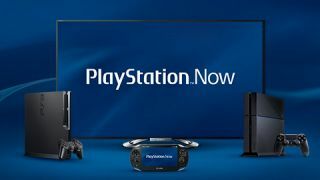 As for the rest of us, we won't see PlayStation Now in our home territories for a while longer - the service is expected to hit the UK in the first quarter of 2015.